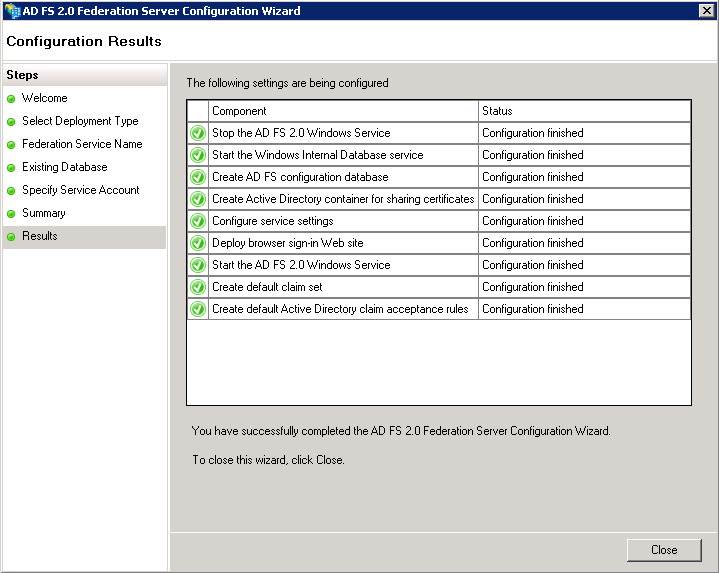 AD FS 2.0 Configuration Wizard Fails - or where is my Program Data ? I’ve encountered a funny situation the other day with a new Office 365 hybrid deployment with an initial install of ADFS 2.0 for Federation with Office 365 and SSO. 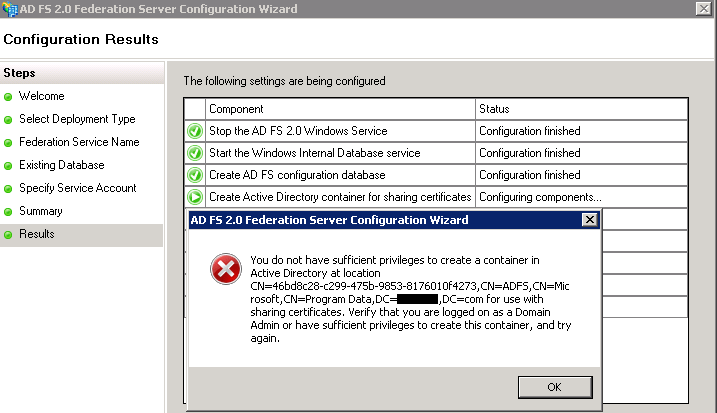 You do not have sufficient privileges to create a container in Active Directory at location CN=46bd8c28-c299-475b-9853-8176010f4273,CN=ADFS,CN=Microsoft,CN=Program Data,DC=Domain,DC=com for use with sharing certificates. Verify that you are logged on as a Domain Admin or have sufficient privileges to create this container, and try again. Well, I’ve double checked my logged on user credentials, the built-in Administrator – we have all the required permissions. I’ve opened ADSIedit and looked for the Program Data container under the domain partition, just to make sure no permissions issues are indeed preventing this wizard to complete. 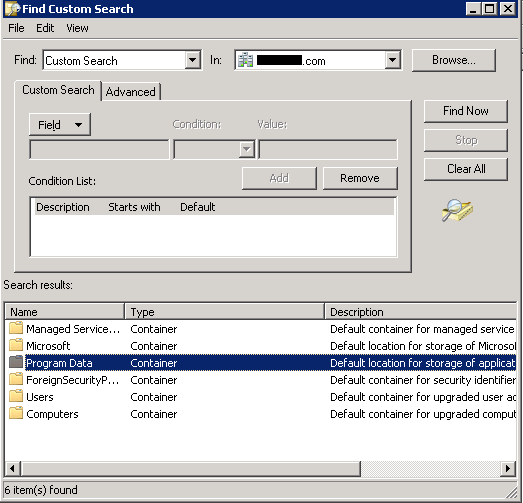 Guess what – no Program Data container !!? Found it (!) and moved it to the root of the Domain tree, then I’ve started the the ADFS configuration wizard again. This solved my problem as well. I have to wonder how that container got moved in the first place. Great tip, and worked like a champ for 2012R2 too. Wonder who (and why) moved that CN… Anyway: I found it, moved it, and have ADFS up and running – thank! It saves me lot of time to find resolution. Im surprised, that more people has this problem. In my case other admins triggered this problem. You’re welcome! Glad to hear the post helped you out. Awesome !!! Fixed my issue too. Perfect fix for ADFS 3.0 too! Saved me so much time in troubleshooting. Thank you so much!